WOW, you will be in AWE when you walk up the stairs & experience the Majestic View from the upper level Great Room. ML Sunroom also has a Magnificent view of the lake. This 5 BR, +2 other poss. sleeping areas, 6 BA home accommodates 2 families. 2 Kitchens & Laundries, ML & UL Master BR's. 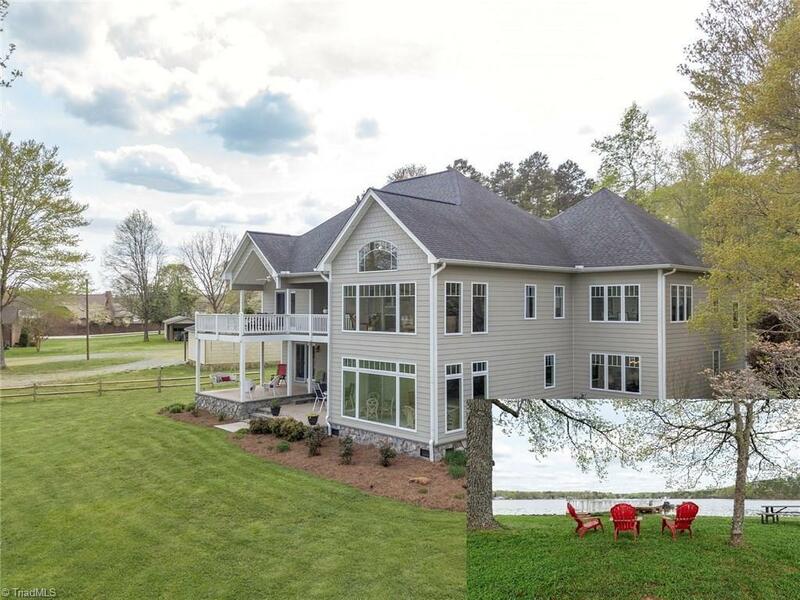 UL Lakefront Master BR's has access to a covered deck & lavish MBA. You can enjoy your guests & have privacy too. Gorgeous UL Kitchen w/Granite & huge island, fantastic Game Room. Private Dock & Boat Ramp, 3 Car Garage.